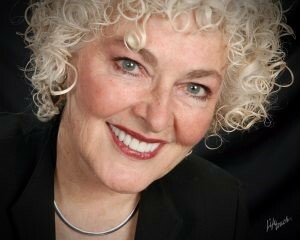 McCreight Progressive Dentistry > For Clients > Blog > Cosmetic Dentistry > Cosmetic Dentistry-Looking Your Best! What is cosmetic dentistry? The simple answer is making teeth more attractive through shaping, whitening or even re-contouring. For the dental consumer this results in a more youthful, attractive appearance. Truth be told that for many years enhancements to teeth in the dental profession were viewed as unnecessary. In fact, some dentists thought it actually might caused harm to the public. Even as little as 20 years ago the materials used to glue tooth structure were considered risky and experimental. 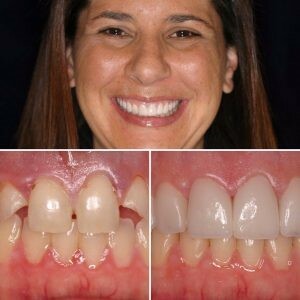 Years later television shows like ABC’s “Extreme Makeover” revealed the positive impact of cosmetic dentistry. The result; public demand for a more vibrant smile exploded. Today it is difficult to find a dental office that does not offer some form of cosmetic dental procedures. Today some dentists even claim to “specialize” in cosmetic dentistry even when the American Dental Association does not formally recognize it as a dental specialty. As a dental consumer often it is difficult to find a good cosmetic dental office. Finding a great cosmetic dental home comes down to three basics. First, look at the dental team offering the experience which includes the dentist. Are their teeth and smiles reflective of the desired result? Second, photo galleries showing actual cosmetic dentistry cases performed by the specific dental team. Qualified cosmetic dental offices have before and after photos of their work NOT stock photos showing examples. Digital photography is used by ALL cosmetic dentists and also by the Team at McCreight Progressive Dentistry. Third and probably the MOST important is to ask for a list of satisfied cosmetic dental clients. Again every qualified cosmetic dental office has a list of satisfied clients that you can call. Also look at online reviews via Yelp, Google or Facebook. 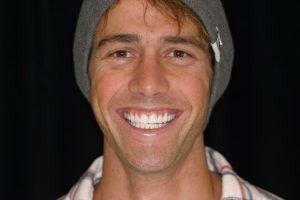 A cosmetic dentistry smile for any lifestyle featuring Andy Lex from Jackson Hole, Wyoming. with 10 porcelain veneers. Smile by Dr Jim McCreight and Mr Ulf Broda, CDT of Aurum Dental Ceramics (Calgary, AB). Since 1998 McCreight Progressive Dentistry and Drs Jim and Wendy had a goal of offering the most progressive cosmetic dental solutions to dental clients desiring the absolute best. Of course it helps that Dr Jim McCreight and members of his team are key opinion leaders (KOL) for several dental companies. 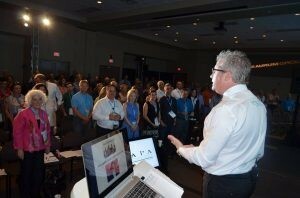 Dr Jim McCreight also is a clinical instructor at the Las Vegas Institute for Advanced Dental Studies (LVI) teaching dentists the most advanced techniques in cosmetic dentistry and smile design. Currently Dr Jim McCreight is President of the International Association of Physiologic Aesthetics (IAPA) the leading organization in the World on physiologic dentistry. Although experience is important, the bottom line is that respective clients to McCreight Progressive Dentistry have trust in the respective dentist and team. It is a team effort that allows McCreight Progressive Dentistry to deliver amazing results in the Yampa Valley. McCreight Progressive Dentistry offers cosmetic consultations. Please click on this link for scheduling. The McCreight Progressive Team would love to serve and exceed your expectations!